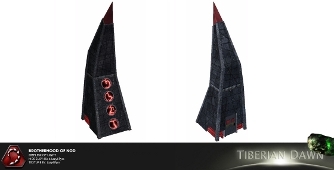 It's been a while since the original Obelisk was posted, and there were some complaints about the fact it looked too "fat". These complaints have been addressed, and Lazy6Pyro has once again proven that he is amazingly good at transforming my suggestions into polygons. So here it is, ladies and gentlemen, in all its sleekness: the revised Obelisk of Light! Also, a little reminder: the ModDB Mod Of The Year competition has started again! So please vote for Tiberian Dawn!